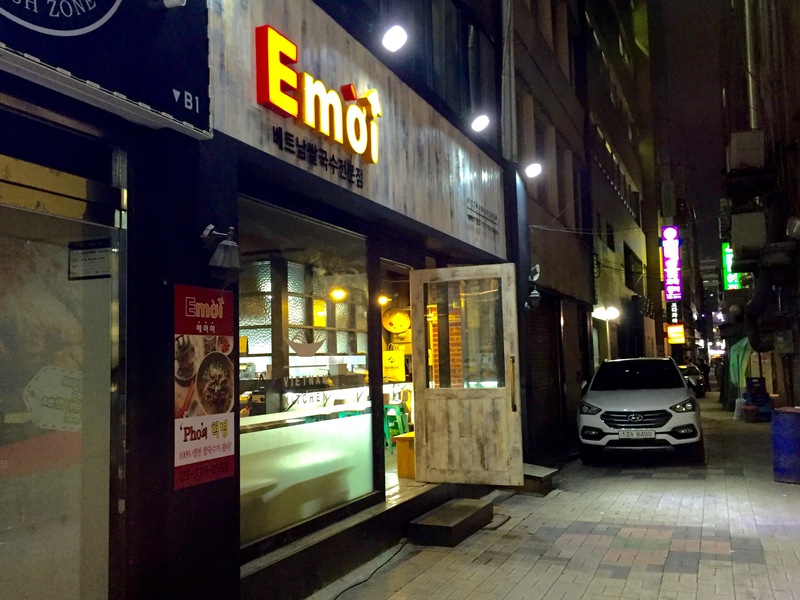 If you’re a fan of Vietnamese cuisine and you’re tired of the usual flavorless broths of the “Vietnamese” restaurants in Seoul, then you need to try Emoi Vietnamese Kitchen. 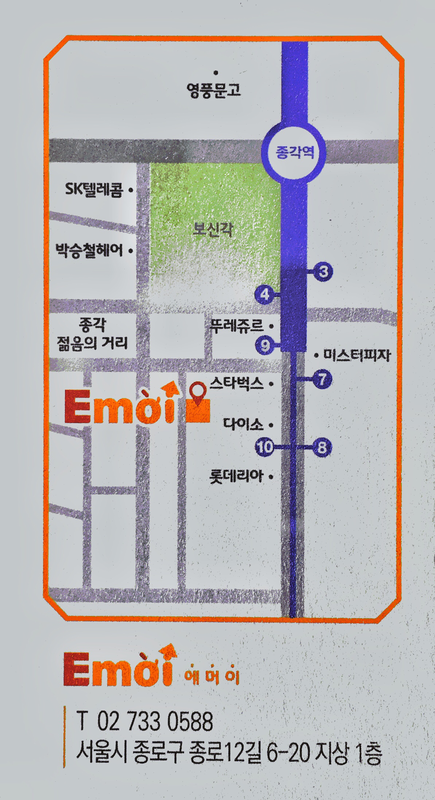 Located right near Jonggak Station (Line 1). Take exit 9 and make a u-turn towards Starbucks. In the alley between Starbucks and Mom’s Touch make a right. Then make a left at the first alley. You will see Emoi on the left. 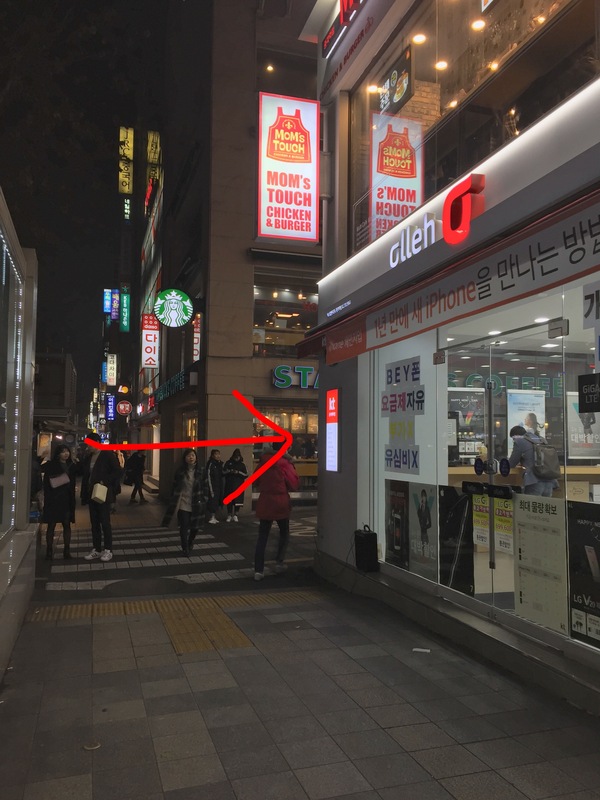 **update: recently we saw that a new location opened in Itaewon (across from the Hamilton Hotel, by exit 3). We haven’t visited this location yet. We have been here many times before, but this is the first time we have had to wait for a table. I’m happy to see the owner is doing well as he provides a quality product to his patrons. The menu consists of just a few options as you can see. 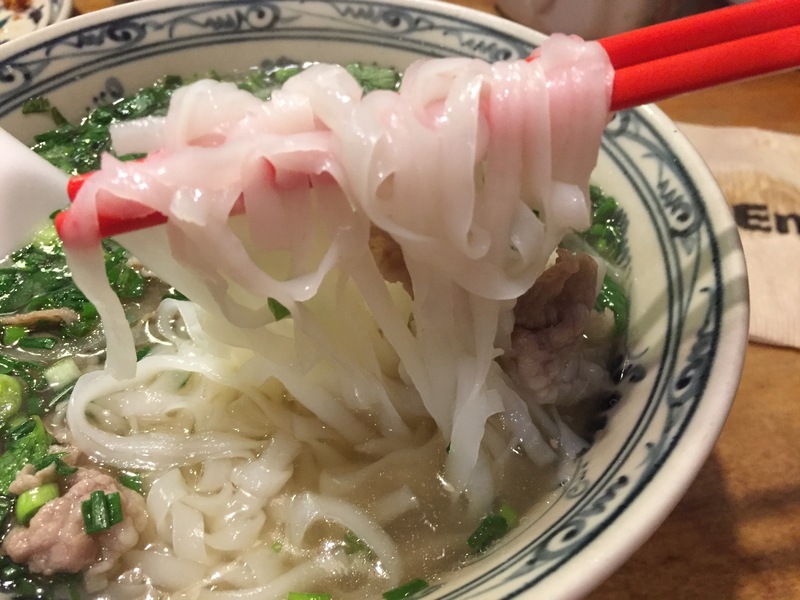 The Pho is not exactly the traditional type you would get in Vietnam, but has all the parts of a great bowl of Pho; rich and flavorful broth, beef slices, homemade rice noodles and of course lots of delicious scallions and cilantro on top. Did I mention the homemade rice noodles?! 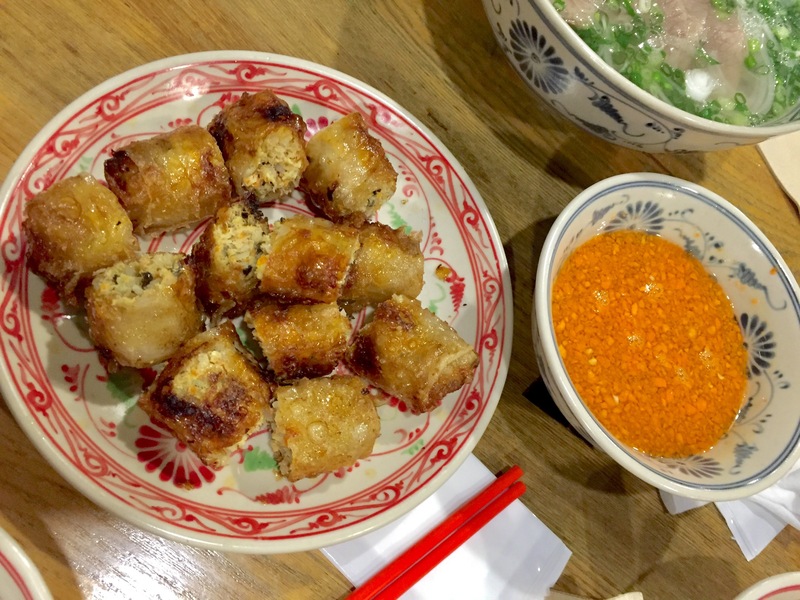 We also really enjoy the fried spring rolls which have minced pork, glass noodles and some veggies. They are mostly meat which is nice). Here’s the beef noodle soup! This is the 차돌 premium soup, the meat is a little fattier than the regular version (₩11,000). 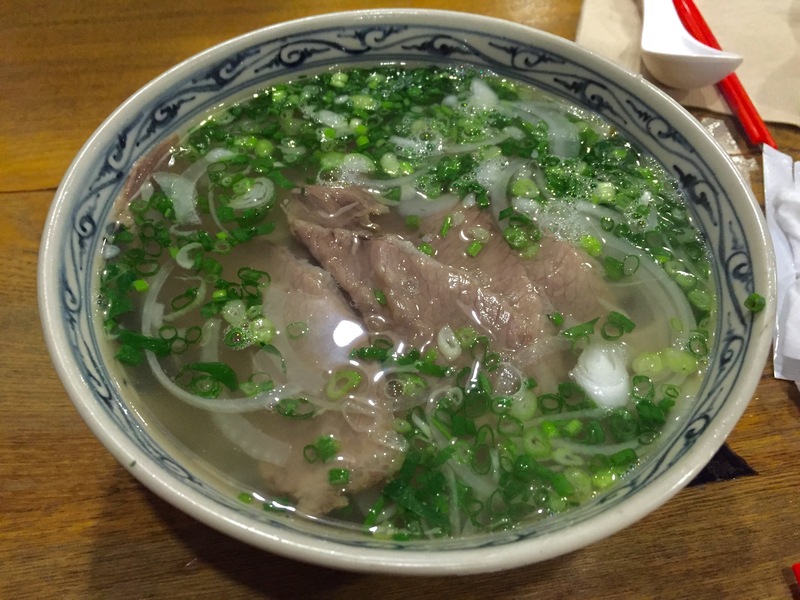 This is the regular version of the beef noodle soup and has a leaner cut of meat (₩9,000). I personally think the less expensive version is just fine and dandy and hits the spot! Look at those yummy noodles! 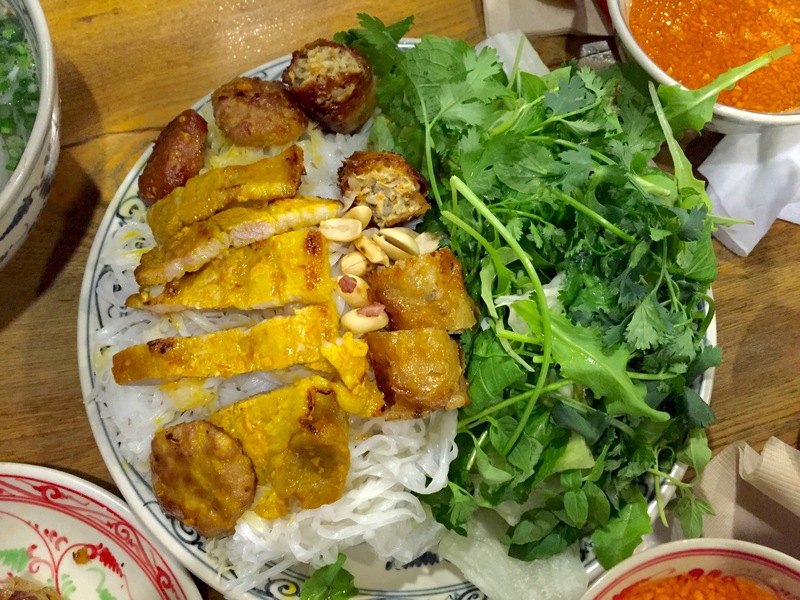 The restaurant also offer Bun Cha which is sliced pork, fried spring rolls, peanuts and herbs on top of a bed of thin rice noodle. You add the fish sauce and mix it all up (₩12,000). 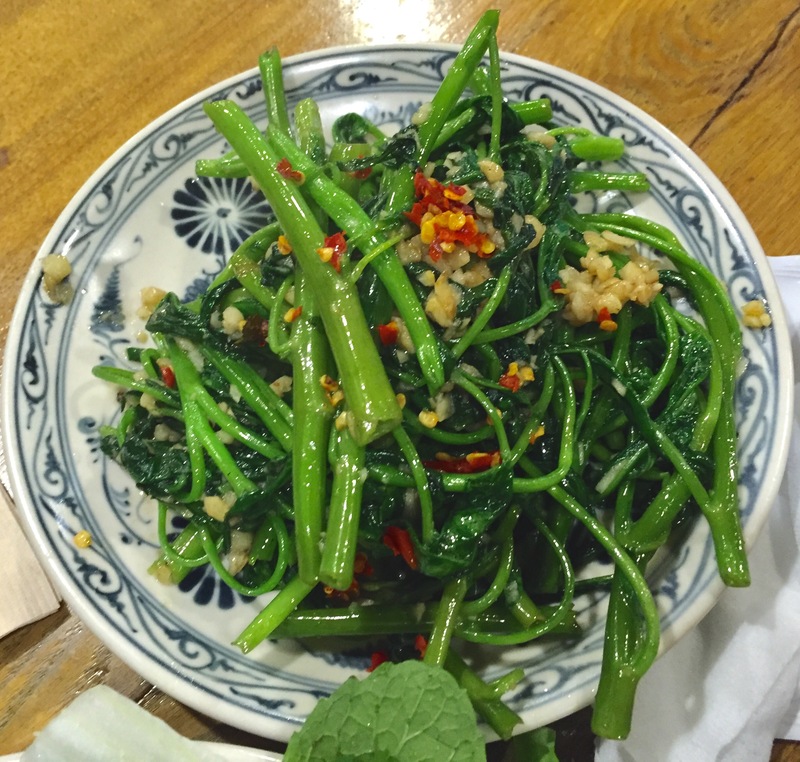 Finally we really like the stir fried morning glory too. 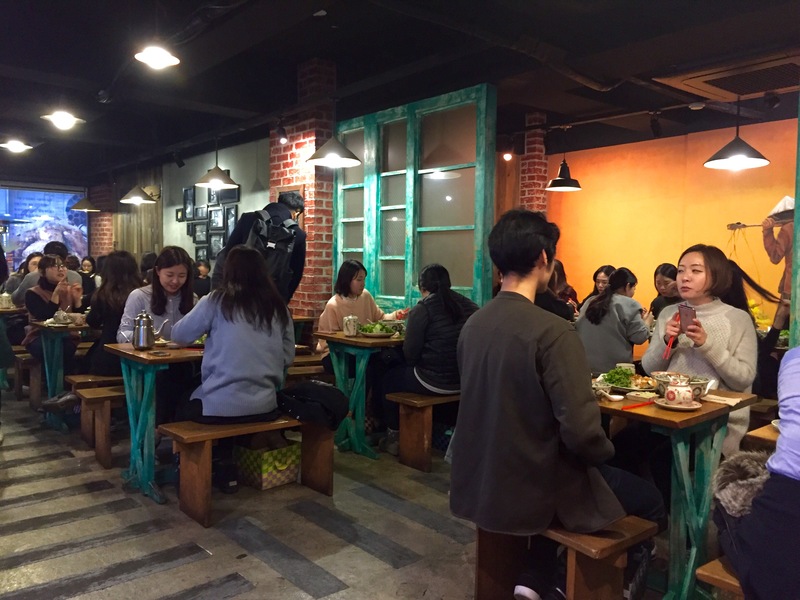 I don’t see morning glory served often in Seoul, plus it’s one of my favorite vegetables, so it’s a must have for me. Basically everything at this restaurant is tasty. The only thing we haven’t tried is their Bun Xeo (Vietnamese pancake), they were sold out the last time we went and the Fried Rice (we saw a ton of people ordering it and it smelled delicious). 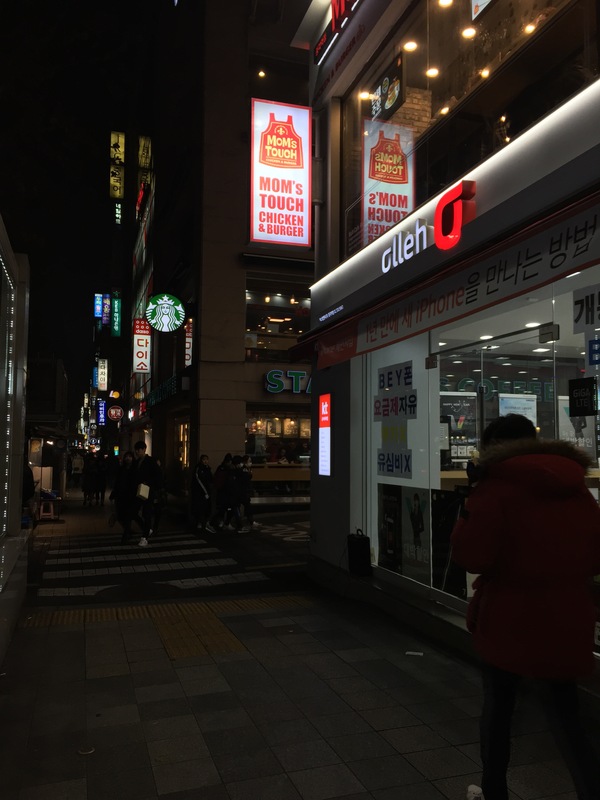 We’ll definitely be back again soon, there’s nothing that hits the spot like soup on a cold winter day!